Whether you're a home owner or business entrepreneur, sharing keys is risky business. And when keys are lost, so is your security. Because of this, we are all seeing more and more access control systems being installed in offices and homes around the UK, allowing you to regain control of access, keep a log of people's access times, and perhaps most importantly of all, delete access when access media is lost or stolen. For some however - especially in homes and small offices - the concept of fitting a commercial style access control system may be overkill, and could work out very expensive with the labour costs of running cables and wiring up multiple components. Thanks to these Digital Euro Cylinders however, this is a thing of the past. 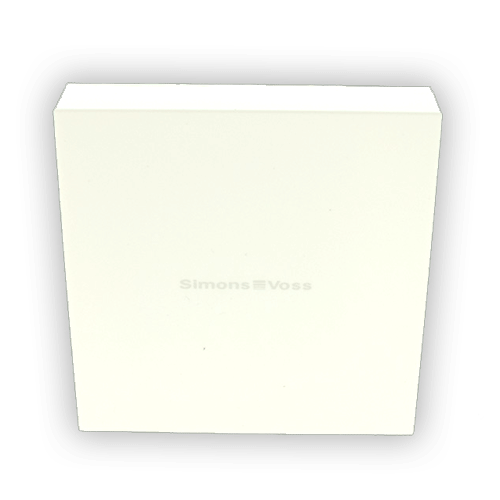 With no wiring or technical installation required, this is by far the easiest and most convenient means of digital access control you could possibly imagine! Using simple PC software to register each of your new cylinders, you then simlpy swap your old mechanical cylinders out to put these in their place. Then you can add or remove user fobs as and when you see fit! Forget about keys, your car did years ago. The more doors you have, the more key-chaos you would normally be subjected to. 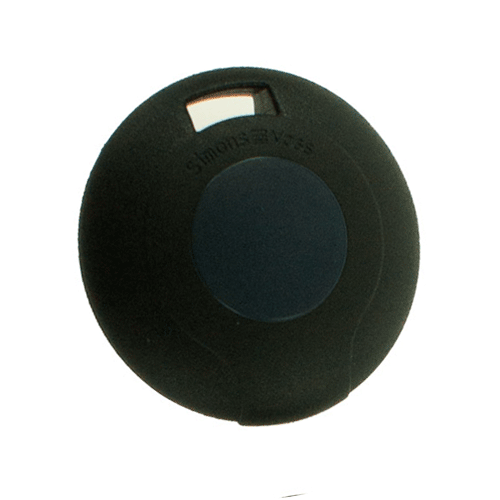 With the Smart Cylinder, your fob will get you everywhere you need to go. Fobs can be programmed to work on any of your Smart Cylinders, so as the owner you'll likely have access to everywhere - but guests or employees will likely have access only to those areas they are required to go - and your private space stays private. And of course, should someone lose their fob, or become untrustworthy, you can simply remove their access rights to any or all doors - and you've removed the threat. Security and peace of mind, all in one. 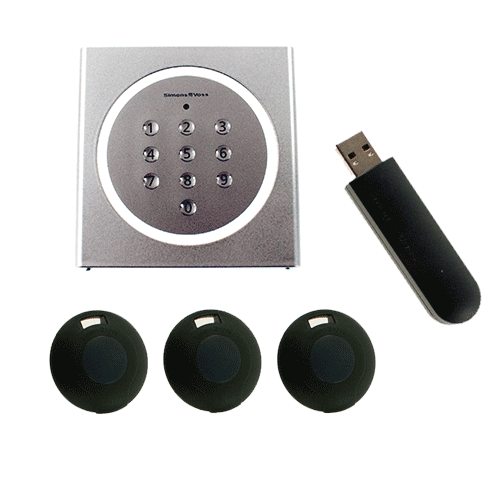 On top of this, you can also add a keypad which works wirelessly in the exact same way as your fob would, and can store three unique codes, which when entered, will activate the smart cylinder in the same way as using your fob, allowing entry (or declining entry if an invalid code is entered). Bringing a whole new meaning to the word Smart, both the cylinders and the keypads can also be chosen as online enabled - this opens up a huge world of fantastic features for remote programming which you can read more about below. 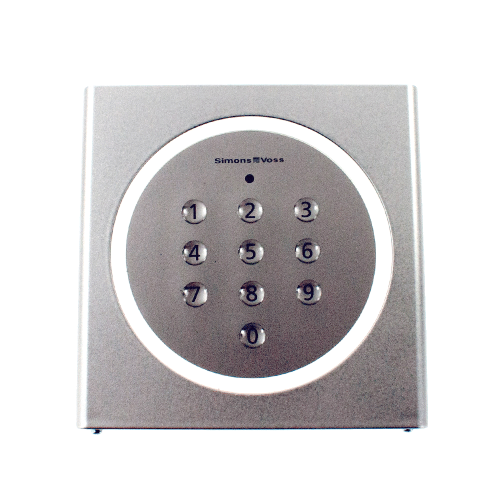 Whether you choose to go with the online version or just the standard smart fob technology, this wireless PIN code keypad allows you to share codes to guests and family members, granting access without the expense of fobs or risk of losing them. What's more, with the online enabled version, you can add, remove, and update these PIN codes on-the-fly as and when you see fit. Need to share a new code? No problem! You can update it on the app. Need to block a code? No problem! You can disable it on the app. The online version really gives you full control wherever you are, from your smart phone. What locks will these work with? 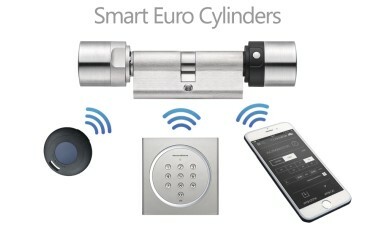 Smart cylinders will work with any euro-profile lock case or multipoint locks. Just bear in mind that the cylinder works like any other; you need to engage the cylinder to unlock and lock the door - so if you want doors to automatically lock behind you, you should consider a slam-lock which automatically engages when the door closes. This means you don't have to bother pressing your fob or entering a code when you leave the property. 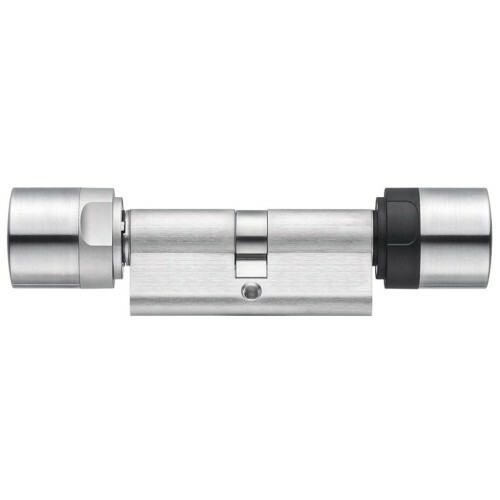 Another solution to not having to manually lock the door all the time is to choose a lock case which offers latch-retraction via the cylinder, then have a fixed-handle on the outside rather than having it physically operating anything. 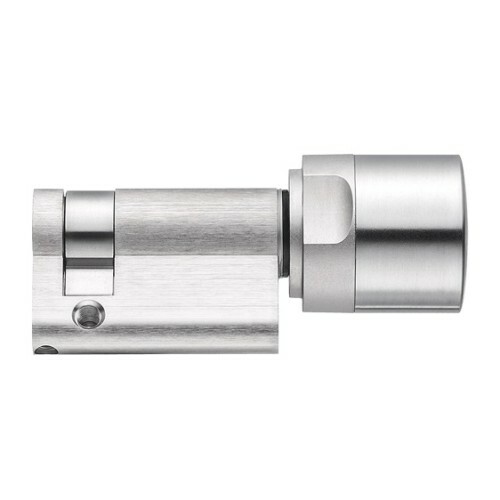 This way, the door can easily stay on the latch and require the cylinder to be activated to open the door from outside every time - then, at the end of the day, when you want full security on the door, you can fully lock it with the cylinder using your fob or other access device. So what do I need to order? These Smart Cylinders really do give you the choice. If all you need is a no-fuss access control system for your home or office with no wiring to consider, the standard cylinders will work from the remote button fobs as well as the keypads. If you want the online version, you'll need to choose the online enabled option on each of the cylinders and keypads you want, and you'll need the smartbridge and power supply to feed it. 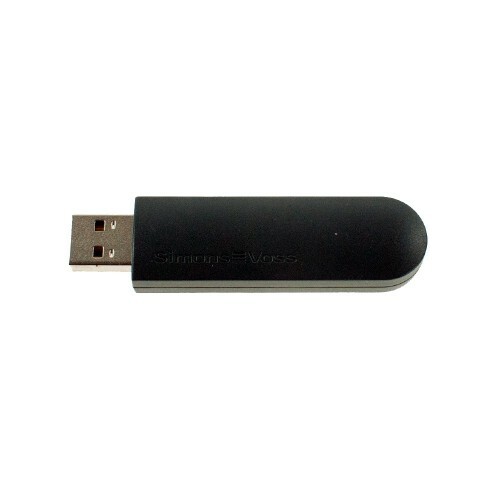 In both cases (online or standard) you'll need the programmer USB stick to get your devices set up - we advise considering the starter kits as they work out the best value for money. What are the different cylinders? The standard comfort cylinder requires activation on the outside (Side A) using your fob or keypad etc in order lock/unlock the door by rotating the cylinder. The inside (Side B) is permanently active so you don't need to use any form of access medium to lock or unlock the door from inside. The button-control cylinder works in the same way as the standard comfort cylinder on the outside, but on the inside you have to press the opposing buttons on each side of the cylinder head to engage the cylinder to lock / unlock the door. This prevents 'fishing' through letterboxes etc, but also offers the ability to press these buttons as you leave the room, which allows you to easily lock the door behind you as for a few seconds the cylinder will be active, meaning you don't need to activate the cylinder outside in order to lock the door again if you don't have a slam-lock. The button-control version also offers lock monitoring, allowing you to have lock state monitoring - ideal for online versions! The half cylinder then simply offers an activation-only option on the outside. 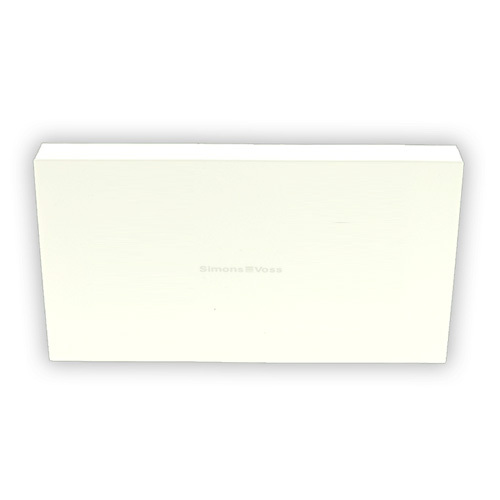 There would be nothing inside, so these are normally used on cupboard doors or rooms using escape locks or mortice nightlatches, where you always have free exit. You will also notice a Smart Relay option - this allows you to trigger other electrical locks or gadgets you want to be able to control with your fobs or keypad etc. It works from the same technology inside the Smart Cylinders, but can be used for other purposes you may desire - with sufficient wiring knowledge. 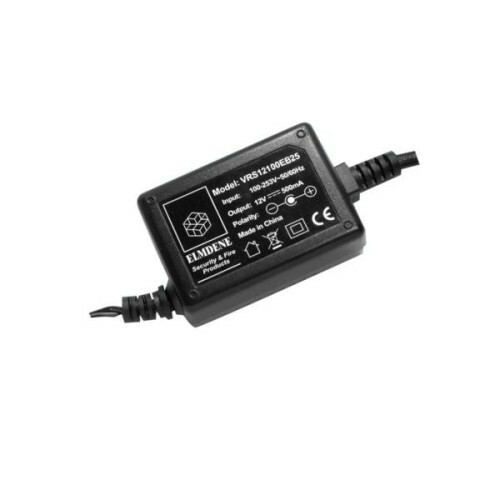 Also in a similar vein to the Smart Relay but with the principle reversed, you have the two-wire transponder. 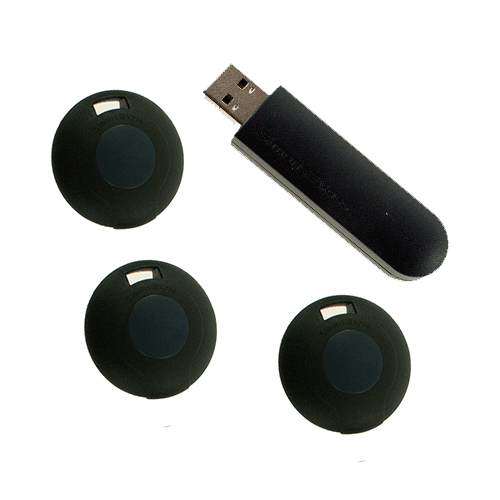 This has exactly the same technology inside as the normal button fob, but is designed to be discreetly wired into an access control system or other entry/exit device you may have, which allows you to trigger the cylinder to activate using your third party devices. 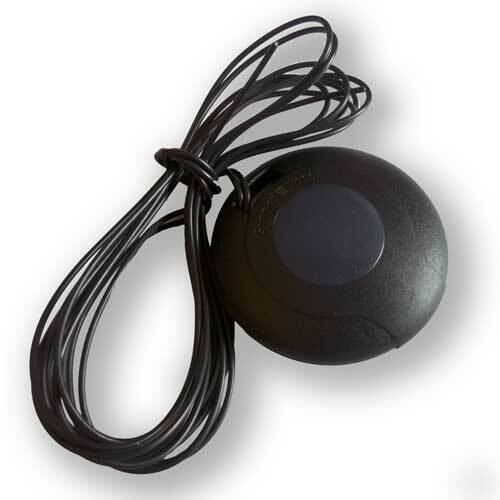 So if you wanted to have a push button or similar inside the property, you could simply wire this to the 2-wire transponder so that when the button is pressed, it will activate the cylinder to be operated. Similarly, if you had a phone-in system to allow entry through the door for example, you could wire in the transponder to your GSM switch so that it will trigger the cylinder to be activated to allow the person to enter. All this needs is a normally-open set of voltage-free relay contacts which will change state when triggered, effectively shorting the two wires to close the circuit, triggering the transmission of the fob to the cylinder.